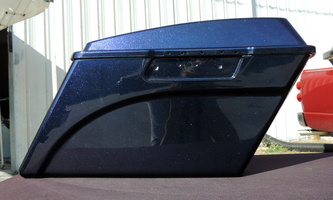 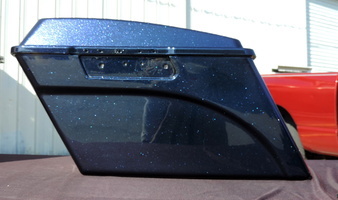 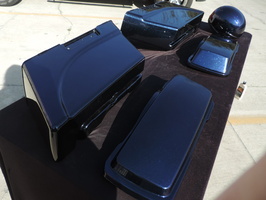 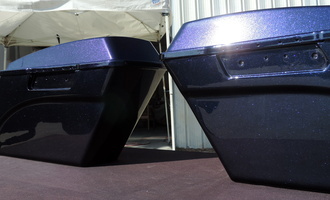 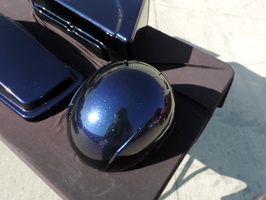 We painted this beautiful color, Black Ice Pearl, on some saddle bags & lids and a helmet. 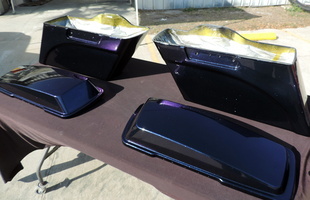 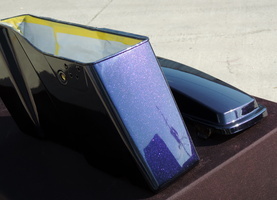 The color is really a nice sparkly purple & blue base that changes colors where the light reflects. 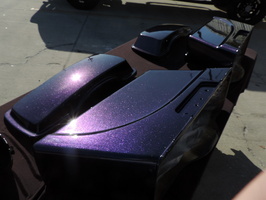 Pretty expensive color too.